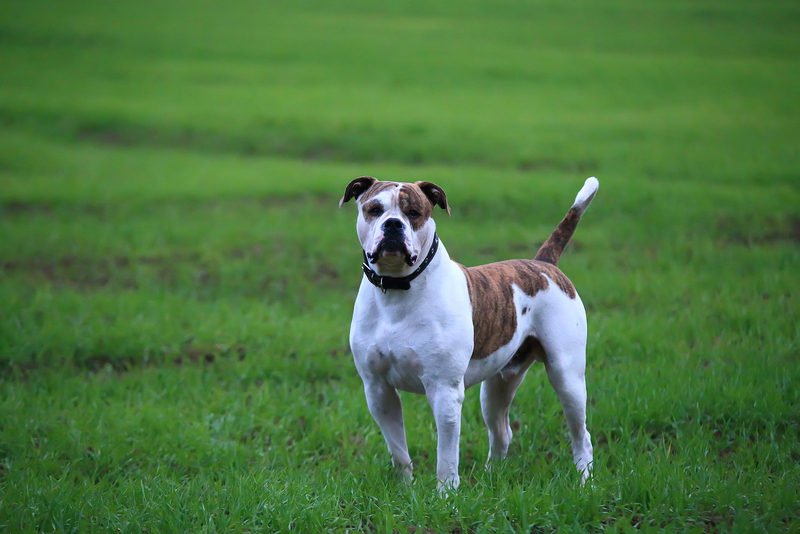 The American Bulldog has a tough, muscular build, which makes it ideal for chasing down cattle at the farm. Moreover, these highly intelligent canines may be used as protective family dogs to keep strangers out. If you are considering buying a dog, you ought to choose the American Bulldog. You’ll know why in a minute. This sturdy canine stands taller than French and English Bulldogs with an average height of 28 inches. A medium-sized dog has an average weight of 120 pounds. This breed flaunts a large head, featuring strong jaws. The ears may be cropped, semi-pricked, rose or hanging. It has black patterns on the nose and around the rim of the eyes. 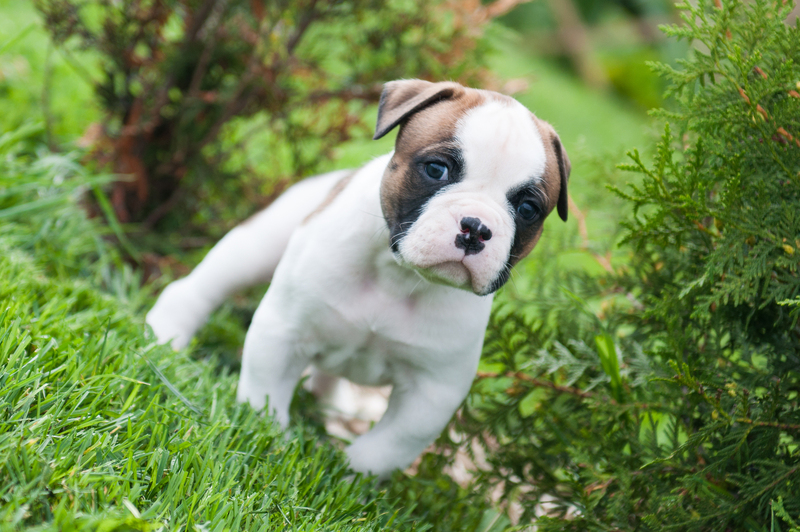 The most common eye color found in the American Bulldog is brown. 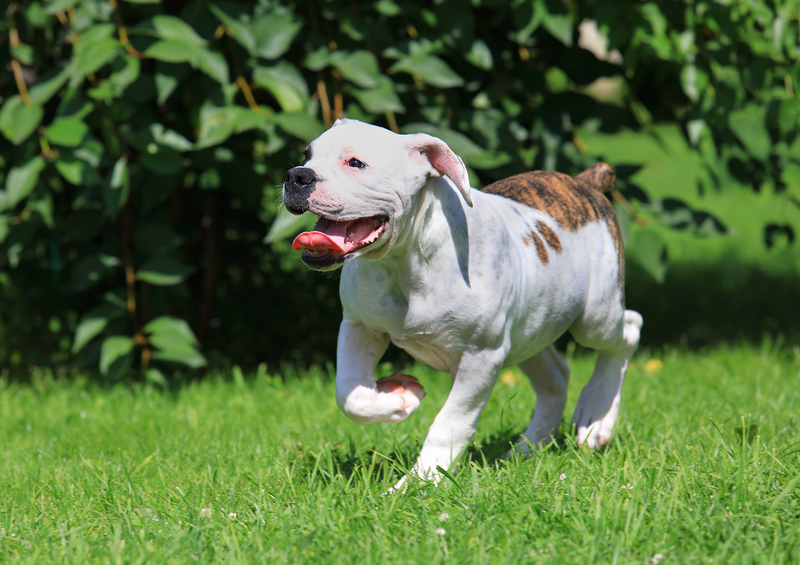 The American Bulldog has a tough exterior and a short and stiff coat. 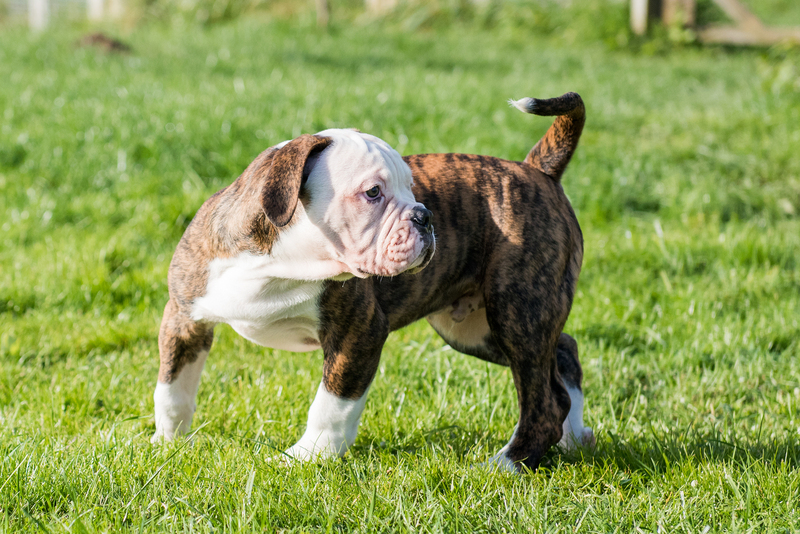 These dogs come in a variety of colors from combinations of white with patches in the tones of brindle, red, or black. 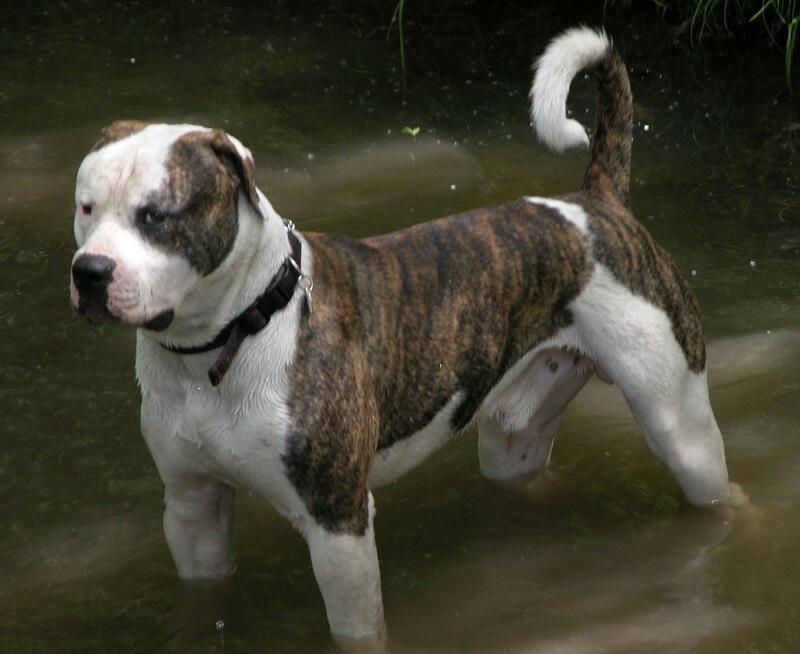 The appearance of an American Bulldog is often confused with the Dogo Argentino, which is an entirely different breed. It is also sometimes mixed with the American Pit Bull Terrier, despite a taller and stronger structure. The American Bulldog has a life expectancy of 16 years on average. Owing to their short coats, these dogs do not shed excessively. You may see shedding only moderately throughout the year, so grooming may be kept minimal. A weekly brushing session will help you with removing dead hair and sorting tangles. You may also only bathe your American Bulldog as and when required. Moreover, you will be required to trim its nails every three to four weeks or sooner if they grow beyond a manageable size. Make sure to trim nails carefully. Dogs tend to resist having their toenails clipped. This breed’s teeth must also be brushed regularly to prevent gum disease, infection and bad breath. However, you must use only vet-approved toothpaste for brushing. Ear cleaning and monitoring are also essential since yeast infections are prevalent in almost all dog breeds. The American Bulldog is generally an affectionate dog that loves being cuddled and enjoys sitting on the lap. You can leave the dog around with kids, and they will get along effortlessly. 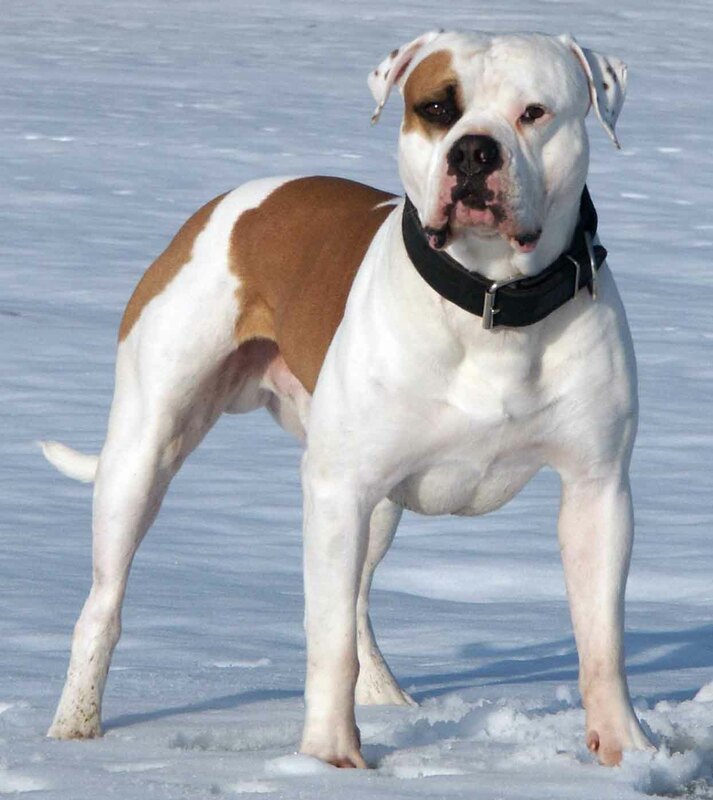 Moreover, the American Bulldog is always on the alert for intruders and strangers, so you can keep it as a watchdog. Its loyal nature makes it exceptionally good at protecting its family. While the dog is brave and quite strong-willed, you’ll need to start training it at a young age when it’s only a puppy. Furthermore, with proper socialization training, it can be trained as an outgoing canine. It is considered a great family dog and is extremely sweet with children. If you have children, they are going to fall in love with their new pet. You cannot afford to leave your dog alone at home for long hours. This is because it has tremendous exercise needs and isolation is bad for this type of canine. The American Bulldog must be socialized at an early age. As long as it is adequately trained, it will be at its best behavior around kids and other animals. Trained dogs also do not require supervision either indoors or outdoors. Puppies must be taught the basics using positive reinforcement only. If you use punishments and negative reinforcement, these dogs will develop an aggressive and stubborn attitude. They may become unwilling to learn and continue training. Thus, if you want them to learn, make sure to handle them with care and offer incentives while training to keep them interested. 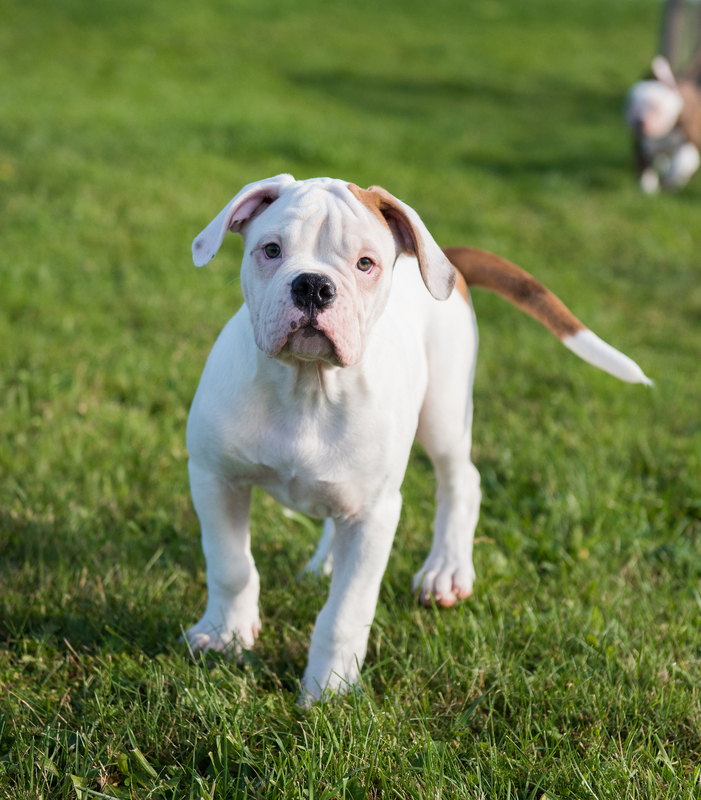 The American Bulldog belongs to the Old English Bulldog line, and it was brought to North America by immigrants who used these dogs as helpers on farms. The older version that originated in England was also used as a working dog to catch cattle, guard property and help with farming activities. Its ancestors were also used in the then-famous sport of bull baiting. 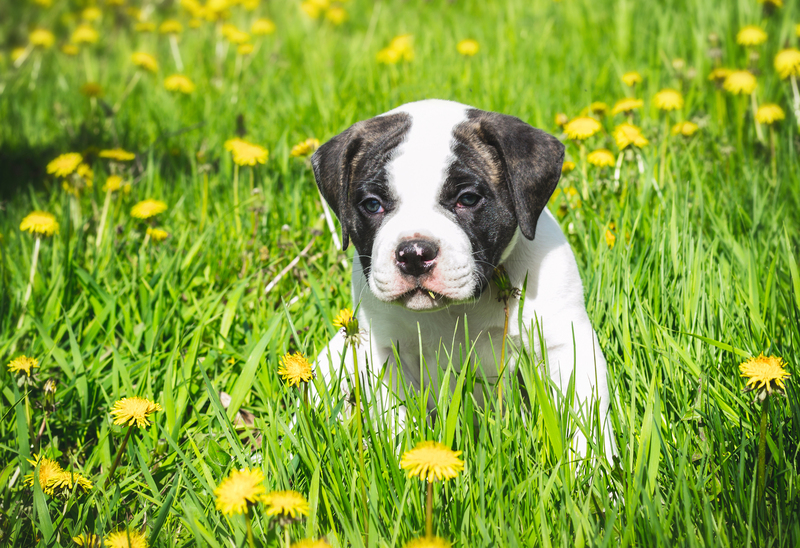 Its ancestors become extinct by the end of World War II, and that’s when the breed’s superior characteristics were revived with the creation of the American Bulldog. The first dog was bred by a war veteran, John D. Johnson, after the end of World War II. The idea was to capture all the characteristics that were commonplace in the ancestral dogs. A few of these comprise agility, intelligence, loyalty, and exceptional hunting abilities. The American Bulldog was recognized by the United Kennel Club in 1999, and it’s no more at the verge of extinction. There’s plenty of them, and you can definitely bring one home. It is also commonly known as the Country Bulldog and AM Bulldog.